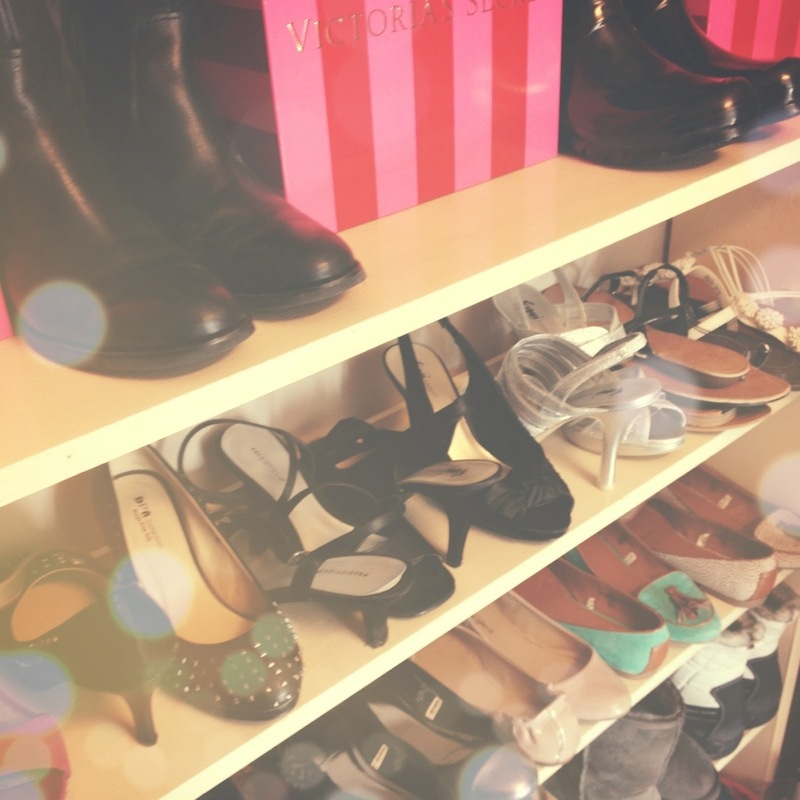 TAG: Confessions of a Shoeaholic! Today has been very busy but I still wanted to post. When in doubt: do a tag! This was lots of fun to answer and I’m interested in what your answers are, comment below! I found this tag on From Head To Toe! Lets get to it, Enjoy! If I could, I would wear heels all the time. Sadly, it isn’t very appropriate for my age so I stick with cute flats! My go-to shoes, regardless of the weather, are my Sperry’s. They can be dressed up or down and go with just about anything. My favorite shoe trend are Loafers! I am in-love with them! I have been eyeing a pair of cheetah ones for awhile! My least favorite shoe trend is Vans/Converse. I don’t mind the shoes, it just gives me flashbacks to my middle school days. I left my chucks back in 8th grade. Also, I do not like the Jack Rogers Sandals. They look like something my grandmother would wear (no offense to anyone! Just not my taste!). My most expensive pair of shoes are my Riding Boots. Originally, they run for about $230 but I got them on sale for $160! My most wanted pair of shoes are the Tory Burch Revas. They are pure perfection and I think I would have a heart attack if I ever got them. My most embarrassing shoe story is when I was goofing around and was trying on a pair of 6-inch heels. I was running down an aisle and I fell face first on the ground, in front of a group of cute guys. Smooth Olivia, Smooth. I have a pair of studded heels. I got them 3 Halloweens ago because I wanted to be Ke$ha. I haven’t worn them since. I own 33 pairs of shoes. The first time I wore heels was to my cousin Katie’s wedding. They were black, open toe with a one inch heel; very manageable for a 7th grader. I don’t like to spend a lot. Usually I won’t go over $20. Although, if they are something I really want then it is more expensive. I love buying shoes from Nordstrom and Target. I do not have a pair of shoes I regret purchasing. At the time, I genuinely loved every pair! My favorite pair of shoes are my Hunter Rain-boots! Tomorrow I should have two posts up! Keep and eye out!